That was my initial thought. Back in 2005 or 2006 (if I recall the timeframe correctly), I’d heard of lululemon athletica and checked out some of their clothing when shopping for gifts, specifically, fitness clothing for my wife, Alba. Back then, they sold predominately yoga clothing for ladies, or at least that’s how I remember. So, when I won a gift certificate by winning a 5k in Birmingham, Alabama, I almost immediately dismissed it. Honestly, I did. Being one not to ignore a good deal on some free clothing, I said to myself, “What the heck?” and went to the store to check it out. I met up with Alison Hoover, the Assistant Manager at the Summit Birmingham store where she gave me the run-down on the running gear. I was very surprised to see some amazing pieces that were not limited to just yoga. 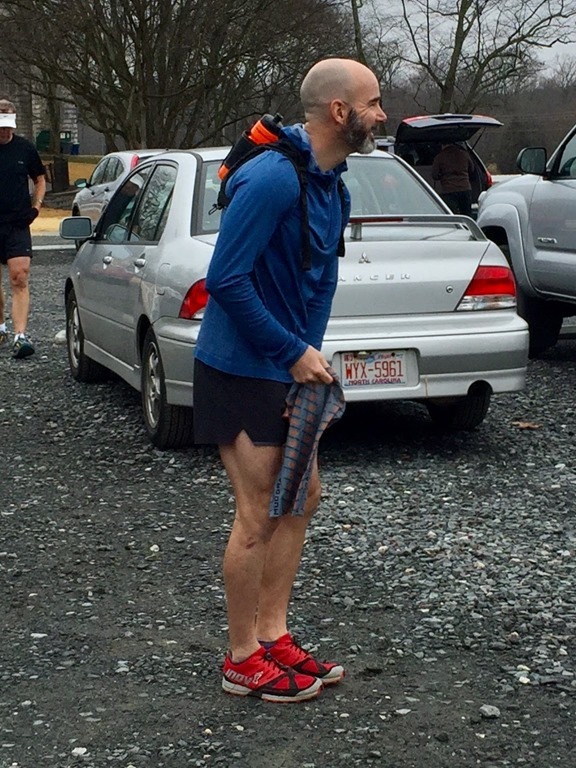 She had explained at the race that they had great running gear, and when checking it out at the store, I was amazed that it didn’t look like just your average pair of running shorts or shirts, but, instead, stuff that really had some thought put into it. It’s apparent that this clothing was designed by athletes that were active in sport and not just big wigs sitting in a corporate office pushing paper around. Alison helped me pick out some gear, I tried on several things and finally settled on the Metal Vent Tech Hoodie and the Surge Short 3. I was super-excited to give them a try and had planned on running in them within a couple of days. The only stipulation that I had when receiving the free gear was that I needed to provide them with honest product feedback. I thought that was a good trade. Unfortunately, me getting a chance to run in the gear was delayed since I started having issues with my calf. To my dismay, this delay lasted almost a month. In the meantime, I did some research on the company, checked out their entire clothing line (the men’s side anyhow) and read reviews written by other folks about the gear I had chosen. Normally, when doing a product review, I avoid reading other reviews because I want to be as objective as possible, but in this case, I couldn’t resist. Once I did get a chance to run in the gear, I was pleasantly surprised. Over the next couple of weeks, I ran in this particular outfit over and over, exclusively. I’m sure folks who ran with me thought I was weird. The good thing about reading the reviews in advance was there were a few that provided feedback for improvement and some that were downright negative. How is that a good thing? It gave me specific things to focus on when trying them myself. I tried. I tried very, very hard to find these specific things wrong but I couldn’t. Let’s talk about a few of the specific features and things that I focused on. 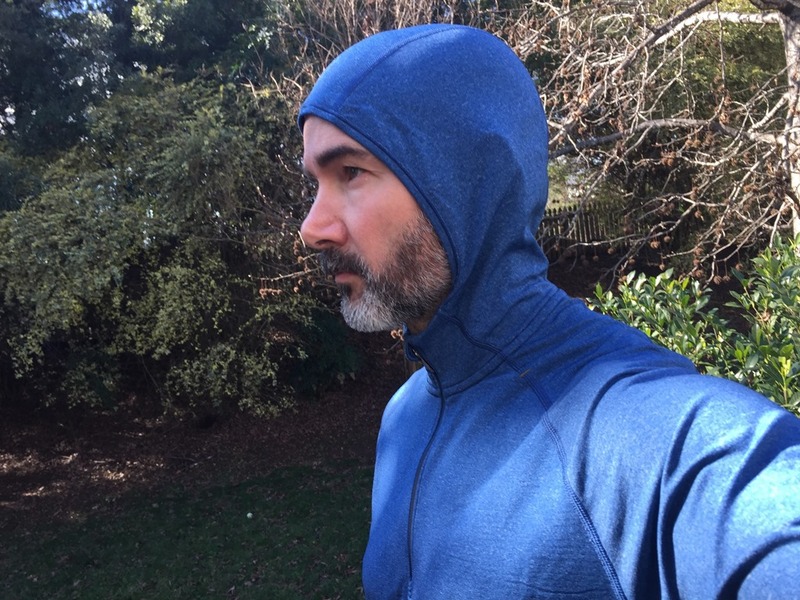 Fabric quality – One of the complaints I read about the hoodie was poor fabric quality. The complaint was about runs in the fabric and thread issues (specifically in the chest area), but after numerous runs, even when running with an OrangeMud pack, I had zero issues. I used it both on road runs and on the trail, some very technical such as the Crowders Mountain Rocktop trail. 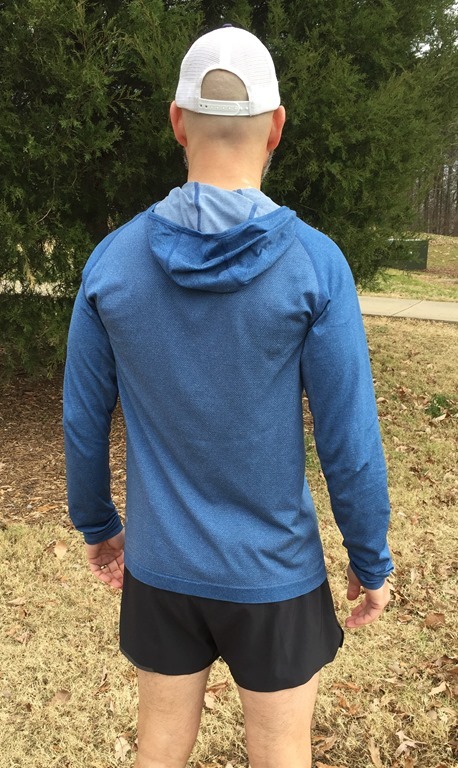 I’ve washed the hoodie a ton, as well, always with other fitness clothing in cold water and very low heat in the dryer with ZERO issues with the fabric. It’s held its shape with no issues such as runs, thread bunching or anything of the sort. I would have thought for sure wearing it with a pack would have caused it by now, especially since one of my packs has straps across the chest. Hoodie issues – I was a little concerned with having issues when wearing the hoodie. 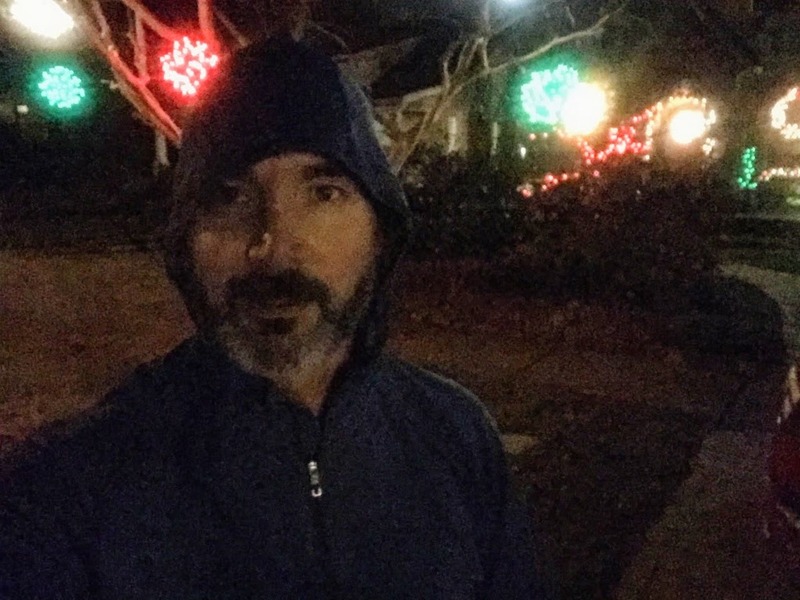 Having never ran with a hoodie before, I was a little curious if it would be a problem. I’m usually a hat or buff wearer in the cold weather since I have a bald noggin. If either my head or hands are cold, I’m miserable, regardless of how warm everything else may be. I can often be spotted wearing a short sleeve shirt and shorts, but with gloves on my hands. When running with the hood on, I was plenty warm. It covers your ears and keeps a fairly snug fit around your head. I didn’t seem uncomfortable at all and the hem along the edge didn’t bother me as I thought it may, especially across my forehead. My only complaint was that since I usually wasn’t freshly shaved when running, it kept snagging a little on my head stubble, but that’s not an issue with the hoodie, but rather with me. One issue that I would warn you would be on the “volume” of the hood. If you have lots of thick hair, you may fill the hood up which could potentially cause a pulling issue around the neck and shoulders area. Although the shirt is a stretch fabric, this may cause an annoyance to some. I didn’t have any issues and even ran at night with a head lamp on around the hoodie. Anti-stink technology – When I read this, I literally laughed out loud. Making a statement like this was quite bold, especially since other fitness gear make “anti” claims that don’t hold up. For example, “anti-fog” for swim goggles is the BIGGEST lie I’ve ever heard. I can slip on a pair of brand-spanking-new pair of goggles with “anti-fog technology” and have them completely fogged over in less than 100 yards. Pffft. So, when I read “anti-stink”, I once again thought, “well, they haven’t met me.” I gave it the best I had. I wore the shirt for 5 runs, over 10 days, WITHOUT washing it. Yep. I ran, got all sweaty and let the shirt sit until my next run. Heck, on a couple of them, the shirt was still damp when I put it back on. Guess what: it worked. No kidding. The thing did not smell, and I have a finicky, sensitive nose. Now, granted, my sweat rate wasn’t what it would be in the heat of summer, but the shirt was certainly sweaty each time I took it off. I’m not sure if it is the nature of the fabric, some chemical treatment or both, but it worked as advertised. Sleeve length – I think the sleeve length was perfect for me. It was a little bunched up which allowed me to stretch them over my hands a bit. 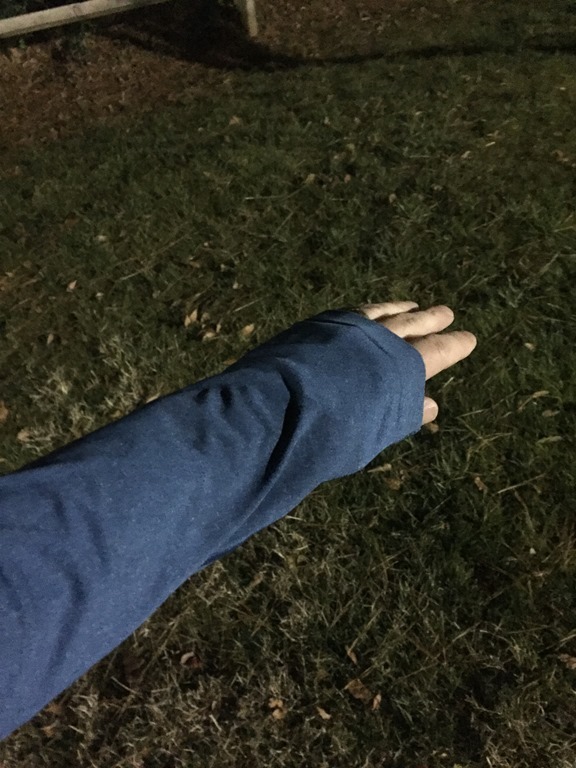 It came in handy a time or two when I was standing around after a run and wanted to keep my hands warm while allowing me to take my wet gloves off. Zipper – I also really liked the zipper. 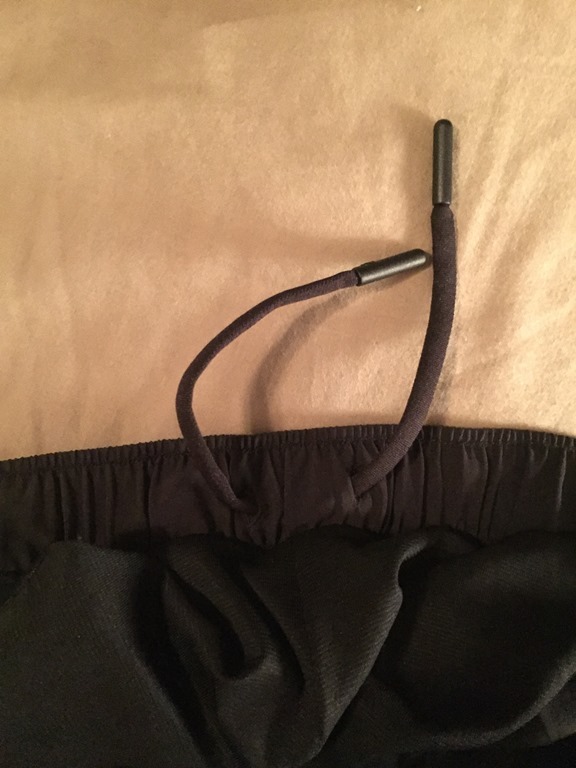 I’ve seen lots of crappy zippers on fitness gear, but for me, this one was well-designed. 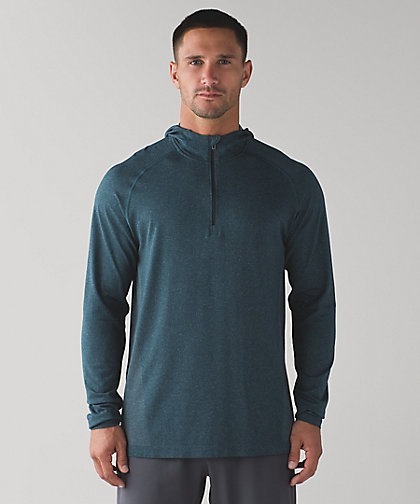 There is a fabric overlap preventing drafts and a fold over at the top allowing you to zip it all the way up without the metal touching your neck. 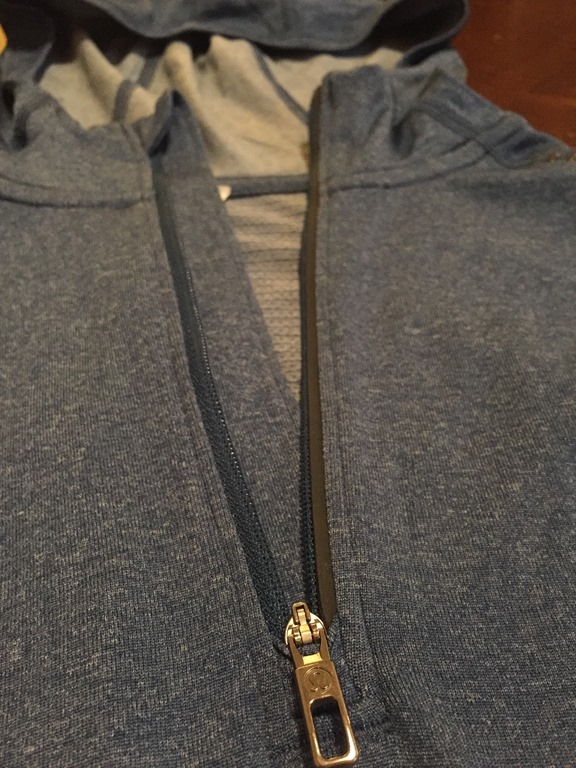 Also, there’s a grey, reflective strip that runs the length of the zipper. Lastly, I liked the motivational sayings on the inside of the shirt which I thought was kind of neat. 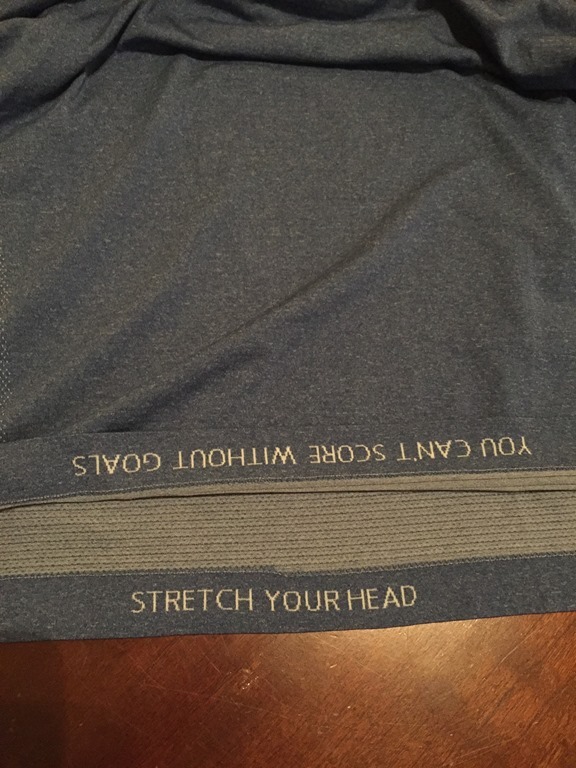 I’m still trying to figure out the “Stretch your head”. Is that a yoga thing? I had a hard time when picking out shorts in the store. Alison pointed me towards the Surge Short stating that they were the most popular around town and that there were several runner friends of hers that liked them. So, I grabbed a couple of pair off of the rack to try on in the fitting room. I tried on both the 3” inseam shorts and the 7” inseam shorts. I immediately didn’t like the 7” inseam ones because I knew, to me anyhow, that it would have felt like running in basketball shorts. Plus, I figured it would have rubbed my quads raw with all of the rubbing/swishing. I’ve just never been a fan of longer shorts when it comes to running. I really wanted to give the 5” inseam shorts a try, but they were out of stock and I needed to pick a pair that day as I would be leaving town the next. To be honest, when I left with the 3” inseam shorts, I was a little disappointed. Still grateful for the free gear, but disappointed I couldn’t get the 5” shorts. That disappointment vanished after the first run. The outside of the short had several visible features. First, on the front of the short is a faux fly that adds a little bit of styling which I just found sort of neat. On the back there is a zipped pocket which I used to put my truck keys into when I ran (if I wasn’t carrying a pack). Horizontally along the back of the short is a narrow strip of stretch, vented fabric. This not only helped with ventilation, but it also prevented the short from binding. This was especially apparent during some of my more technical runs where I’d have to race my knee almost 90 degrees to climb up rocks or steep steps. Speaking of drawstring, this is the first pair of shorts that I’ve seen that has a drawstring with hard, plastic covers on the ends of the string. There’s no way these things are going to become frayed. Plus, they have smooth, round ends which prevents them from poking you like a typical shoestring would. I thought it might bug me a bit over other types of shorts that just have a knot on the end, but they didn’t. I think these ends would also facilitate the re-threading you’d have to do if the strings ended up sucked into the waistband. 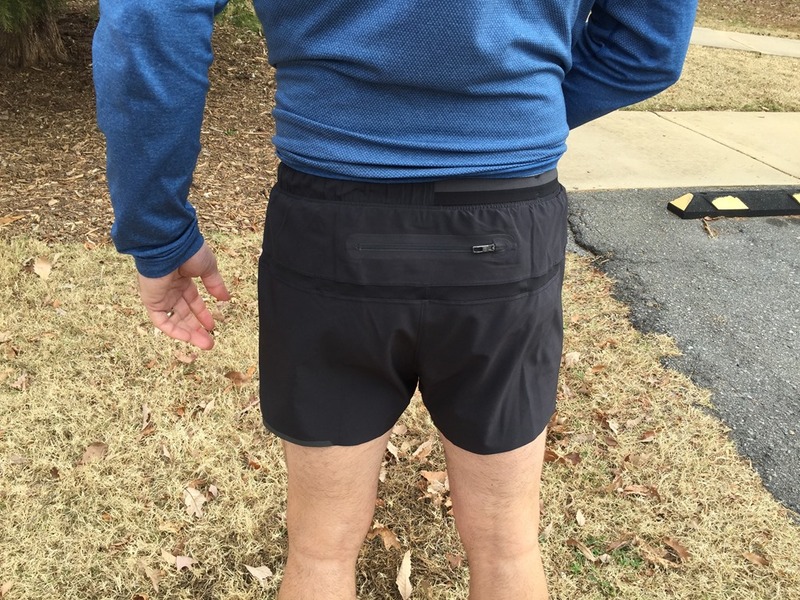 The liner was very comfortable and I didn’t feel the tightness around the legs like I do with some of my other running shorts. The seams around the elastic appear to be a little different and I’m hoping that over time, they won’t fray and reveal the rubber like some of my other shorts. For me, that spells instant funeral for a pair of running shorts. It happens over years of use, so, of course, it’s too early to tell with these. The tag was loosely sewn in making it very easy to remove. There’s also an interior pocket designed to carry a gel, keys, or whatever you’d like. 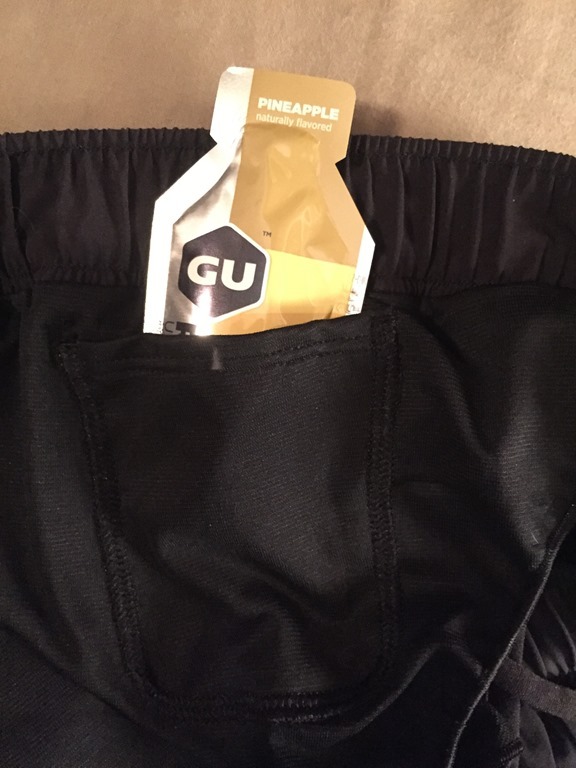 I stuffed a GU gel into it and was a little concerned that it didn’t fit all the way into the pocket, leaving the tab sticking out the top. 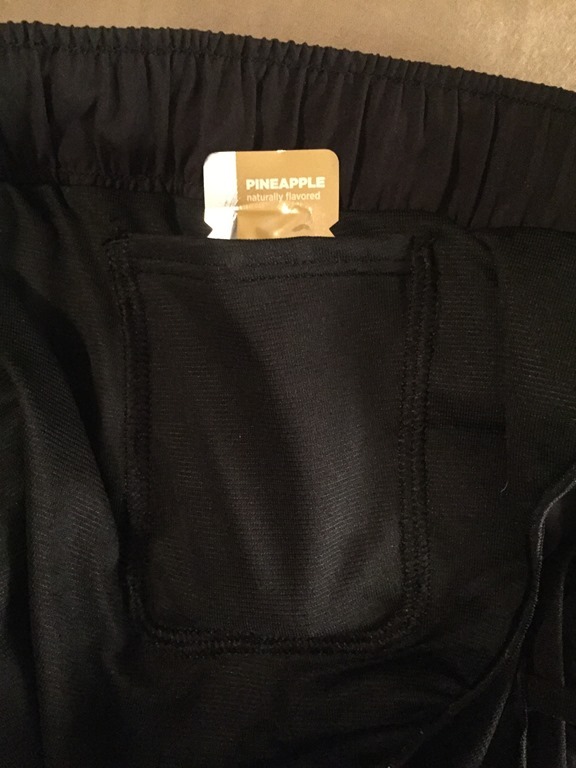 Since it would end up even with the waistband, that could spell trouble over the duration of the run, so flipped the packet over and stuck it in the pocket upside down. This caused the tab to fold over and the gel was completely encompassed inside the pocket. 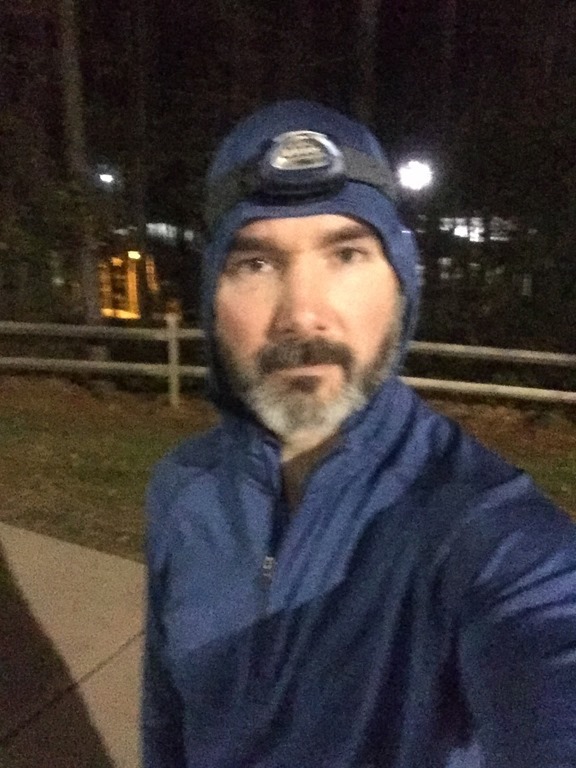 I ran several long runs with a gel in the pocket, regardless of whether I was going to use one or not, just so I could see if it would be bothersome. I completely forgot about it and didn’t feel it at all. 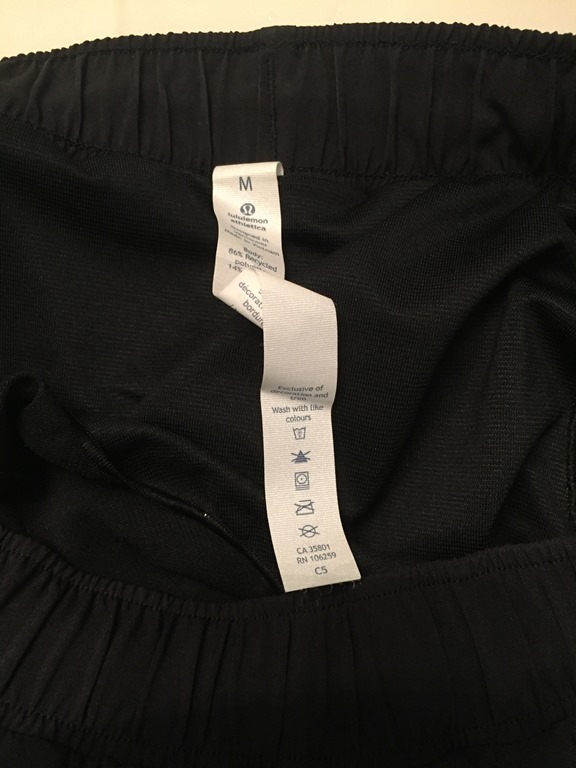 The online reviews for the shorts had a couple of people complaining about the liner and some complaining about the fact that the shorts didn’t have a split up the sides. I didn’t see an issue with either. 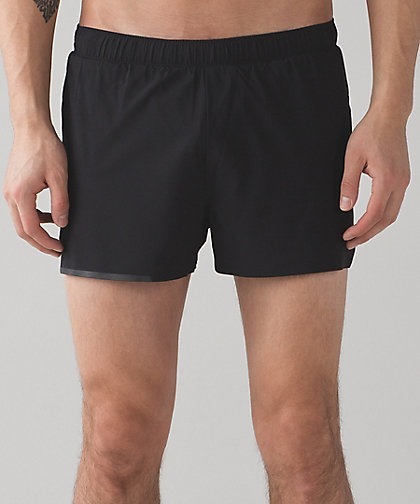 I have a couple pairs of split shorts and unless you’re running track or ultras, I think they’re a bit over the top (but that’s just me)(that’s also when I usually wear them). Plus, I do lots of runs at the US National Whitewater Center along with an occasional brewery run at Triple-C or Legion. I wouldn’t want to run in split shorts and then hang out for a brew afterwards. These are stylish enough that you could do so without getting weird stares, even with a 3” inseam. 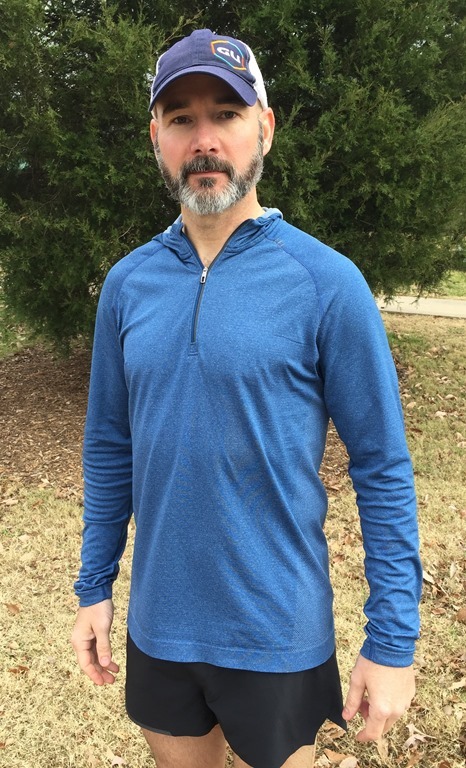 Believe it or not, this is the ONLY running clothes I have ran in since I’ve laid my hands on them (over two months worth) in order to get in some good mileage and lots of washes before providing any feedback. After doing so, I’d have to say that, overall, I was extremely pleased with both the shorts and the hoodie. Since I had read some of the reviews beforehand, I keyed in on some of the thumbs-down aspects of the other reviews and tried very hard to find the same flaws, but run after run, I kept coming up empty handed. Instead, I kept finding more and more reasons to love the outfit. I can honestly say that this outfit is the most comfortable running kit I have in my arsenal. That’s saying a lot, because if you were to lay every piece of clothing I own out on the floor, the bulk of it would be fitness gear. 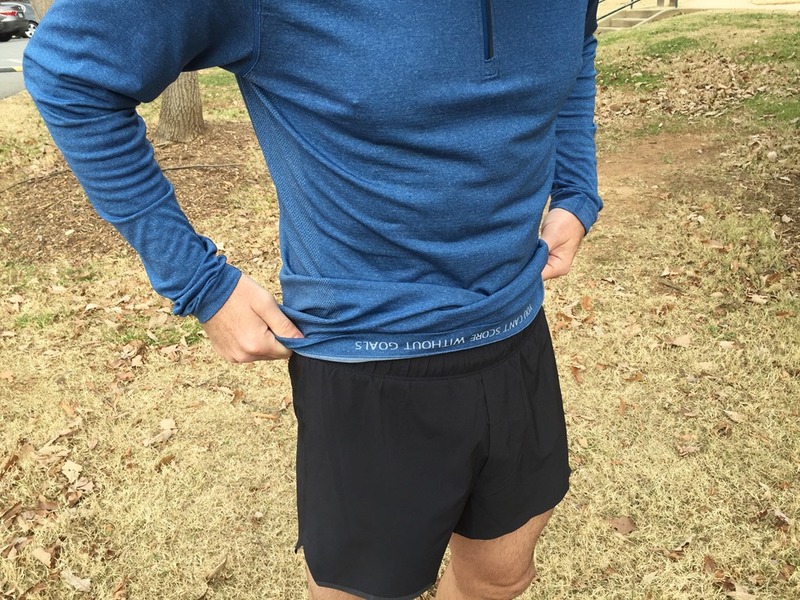 Products: Metal Vent Tech Hoodie and Surge Short 3. 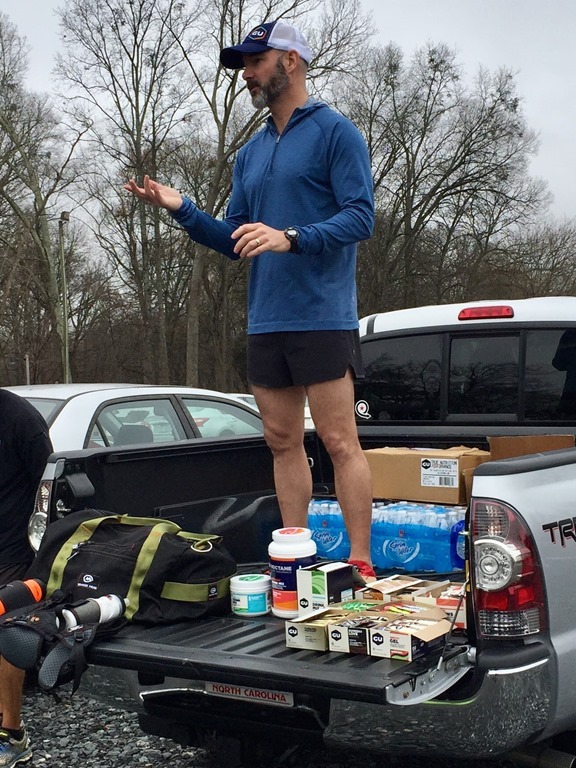 Previous Post: New XTERRA Point System – Good or Bad?